This calendar is great for advertisers with Spanish speaking customers. The grid includes Catholic observances. 2020 Calendar. 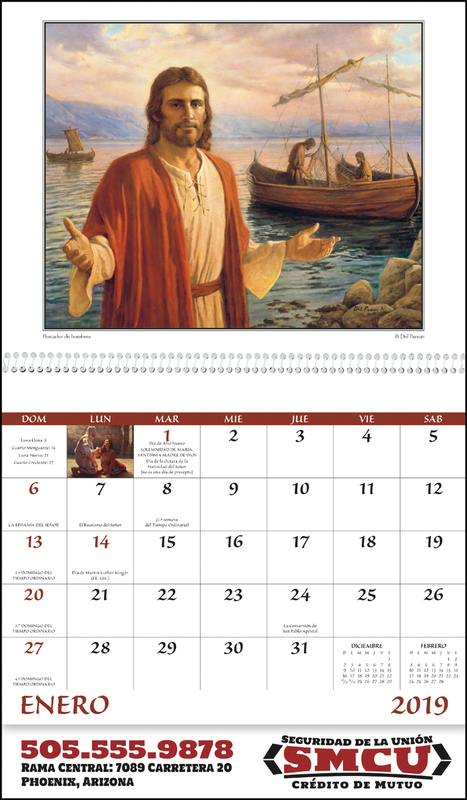 13-month calendar beginning December 2019. Gloss Paper Stock with UV Coated Cover. High-quality Imagery. Spanish grid. Top markets: general services, retail, religious. Price includes 1-color imprint, 1 location. Material: 60# gloss text/UV coated cover. Set-Up, No Charge $.00 (X) per order for standard imprint location and color. Multiple Color Running $.10 (G) per piece. Personalization Charge supply list electronically $.30 (G) per name. Cancellation $31.25 (G) plus costs incurred. 3rd Party Shipping $10.00 (Z) per order. Drop Shipment Charge for Over 20 Ship Locations $8.00 (Z) per location. Copy Change $15.00 (G) per change. Email Proof .00 (X) no charge. Fax Proof .00 (X) no charge. Four Color Mailed Proof .00 (Z) no charge. Paper Proof .00 (Z) no charge. Virtual Proof 25.00 (G) each. - Plain Envelopes, Bulk .18 (G) each. - Plain Envelopes, Inserted .26 (G) each. - Gift Envelopes, Bulk .18 (G) each. - Gift Envelopes, Inserted .26 (G) each. - Poly Bags .20 (G) each. - Chipboard Protectors .12 (G) each. - Imprinted Envelope Running; 1-2 Color Only .06 (G) per color, per piece. - Imprinted Envelope Set-Up 16.00 (G) per color. - Custom Outside Backmount 25.00 (G) per order. - Custom Outside Backmount Run Charge .11 (G) each. 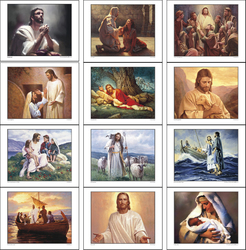 - Super Saver/list supplied in Excel (postage addtl) .25 (G) each for non-personalized calendars. 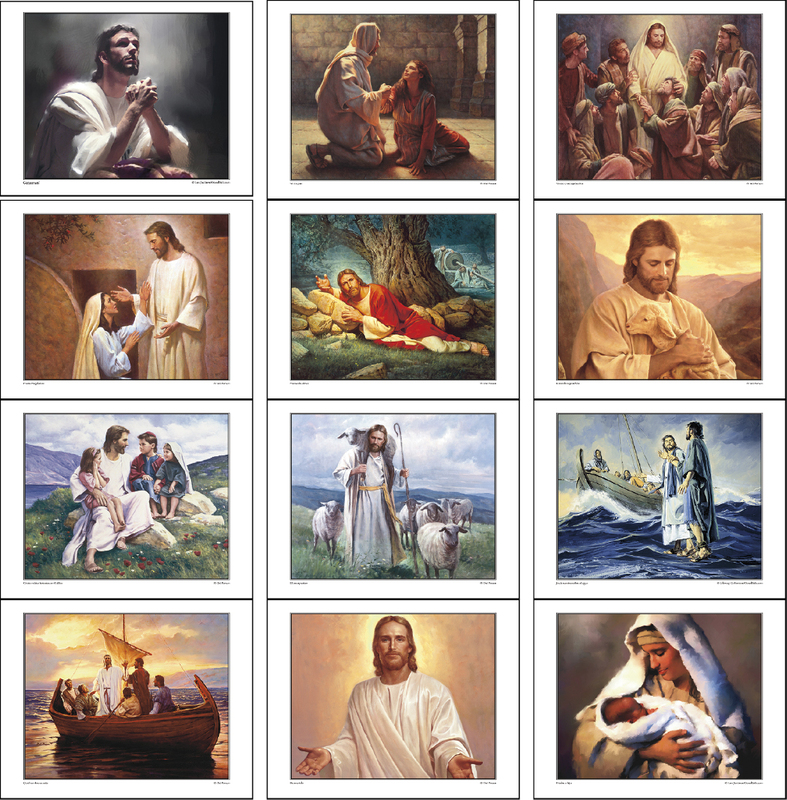 - Super Saver/list supplied in Excel (postage addtl) .10 (G) additional, each for personalized calendars. 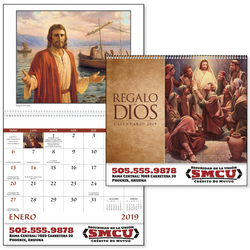 - Regular/list not suppied in Excel (postage addtl) .35 (G) each for non-personalized calendars. - Regular/list not suppied in Excel (postage addtl) .10 (G) additional, each for personalized calendars. - Rush Delivery May Be Available, Call Customer Svc 50.00 (G) each. COMBINED QUANTITY PRICING: Minimum total per order must be 150. You can mix themes in minimum quantities of 75 per theme, but they MUST have the same binding. The ad copy must remain the same for the entire order.LTM: Less than minimum is not available on this product. PRODUCTION TIME: Individual Mail: 6 business days. PRODUCTION TIME: Imprinted Envelopes: 6 business days. PRODUCTION TIME: Inserted in Packaging: 6 business days. PRODUCTION TIME: Quantities of 7500 or More: 15 business days.